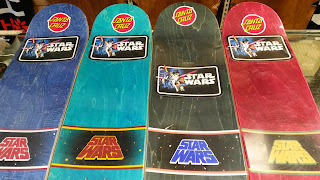 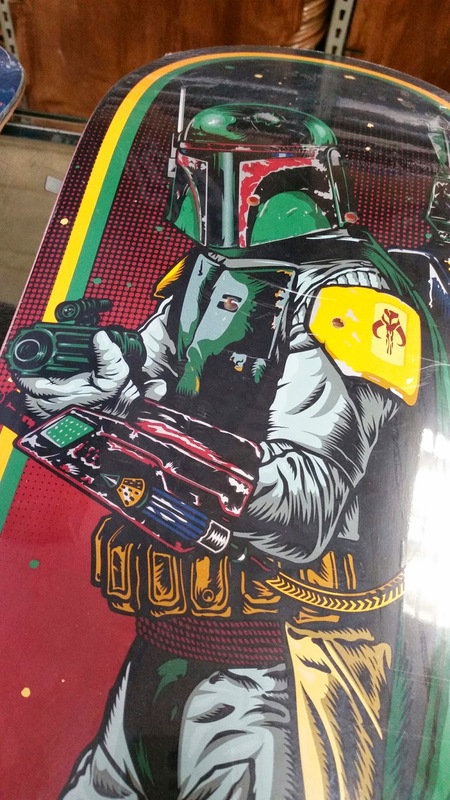 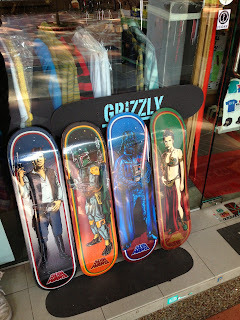 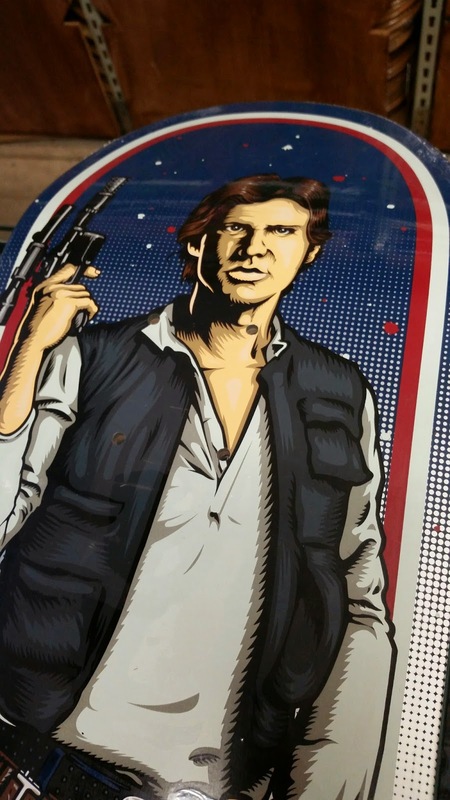 418 Skateshop has just received stock of the limited edition STAR WARS x SANTA CRUZ skateboards. 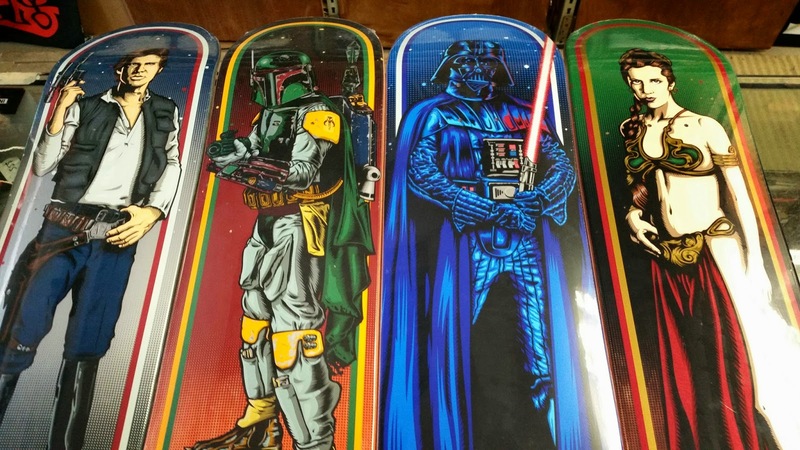 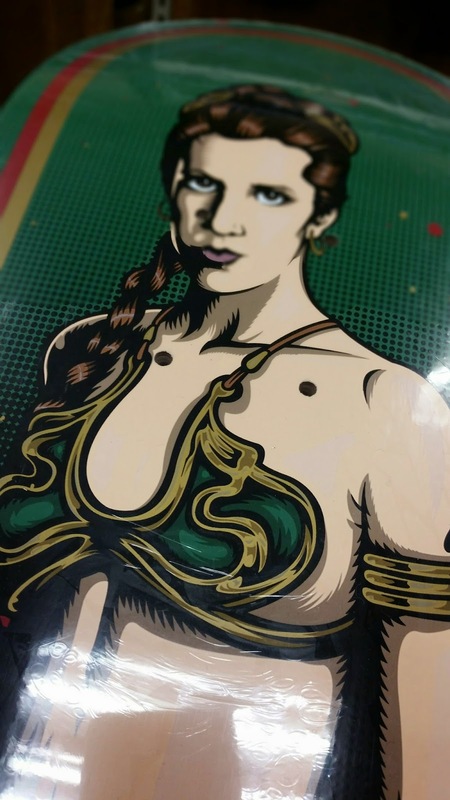 Get in touch with your inner Jedi on these limited edition one of a kind Star Wars skateboards. 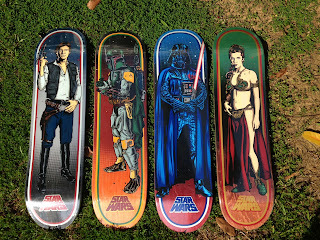 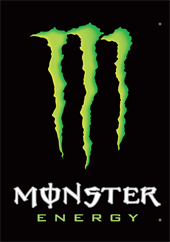 They go on sale today Friday 25 July 2014 for $150 each. 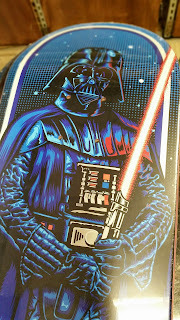 They are very limited and 418 doesn't have much stock so if you want one or a set drop by soon. 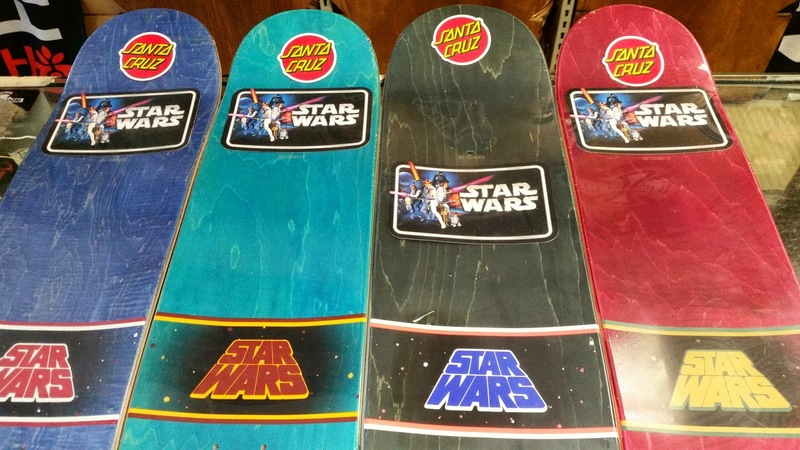 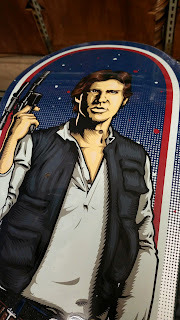 Santa Cruz Skateboards, in collaboration with Lucasfilm, has announced a limited edition collection of Star Wars skateboard decks and cruisers. Known for its iconic graphics, Santa Cruz has now created original illustrated graphics of classic Star Wars characters available on both decks and complete cruzer skateboards. The line is now available at finer skateboard retailers around the world. 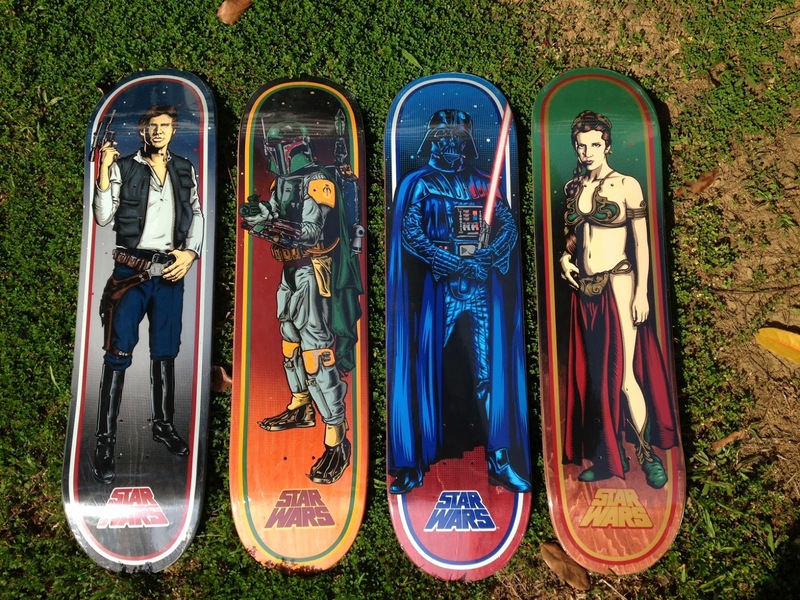 Darth 8.375" x 32" Han 8.26" x 31.7" Boba 8" x 31.6" Leia 7.8" x 31.7"